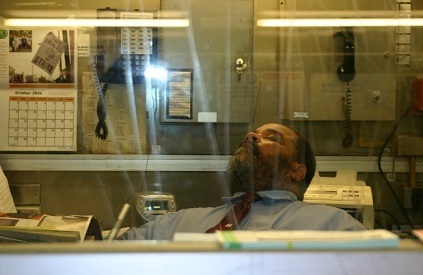 Whether it’s an emergency room doctor, a security guard, or a night editor, a person working odd hours is 30 percent more likely to fall asleep on the job or have insomnia than a day-working counterpart. That problem, called “shift-work sleep disorder,” inspired a team of international researchers (the majority of them in Finland, land of the midnight sun) to figure out whether there’s something these groggy employees can take to perk up—without a lot of side effects. After analyzing other researchers’ work on the matter, the team concluded that more research needs to be done. Overall, the authors found that both over-the-counter and prescription medications are largely useless for bleary-eyed shift workers trying to overcome the consequences of working odd hours—and that in some cases, popping a pill does more harm than good. So if you’re among the millions just suiting up for work while the rest of us are out at happy hour, either hang in there until scientists figure out how to keep you up in a healthy, reasonable way—or consider getting a day job. Tags: circadian rhythm, insomnia, night shift, sleep-cycle. Bookmark the permalink.